A modern take on a classic silhouette, this round drink table balances traditional details like spade feet with sleek materials. The steel frame is open and topped with glass - the perfect combination for making a smaller space look more open and airy. 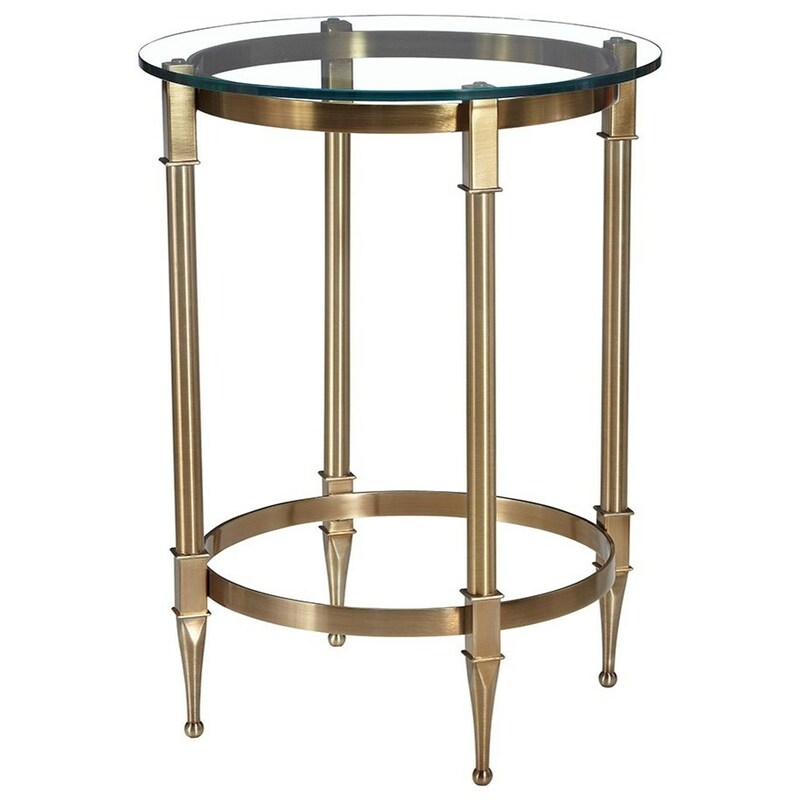 The Parthenon Round Drink Table with Glass Top by Artage International at Stoney Creek Furniture in the Toronto, Hamilton, Vaughan, Stoney Creek, Ontario area. Product availability may vary. Contact us for the most current availability on this product. Case Construction Steel frames and glass tops. Mixing classic shapes with modern materials, the Parthenon collection exudes modern glamour. Open steel frames with glass tops make smaller spaces feel more airy and open, perfect for condo or apartment size living rooms. The Parthenon collection is a great option if you are looking for Glam Transitional furniture in the Toronto, Hamilton, Vaughan, Stoney Creek, Ontario area. Browse other items in the Parthenon collection from Stoney Creek Furniture in the Toronto, Hamilton, Vaughan, Stoney Creek, Ontario area.